With businesses ranging from luxury resorts to bespoke residences, the Malaysia-listed property giant controlled by the Yeoh family has the ability to ride out the storms. 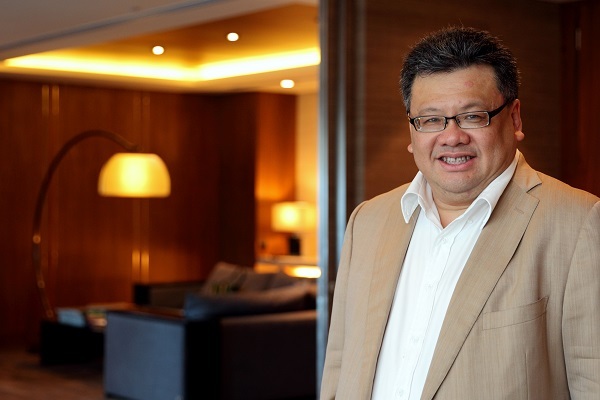 Mark Yeoh, executive director of YTL Hotels, tells EdgeProp why. For the past decade, Malaysia-listed conglomerate YTL Corp has stayed invested in Singapore, through the tumult of the global financial crisis and eight rounds of property cooling measures from September 2009 to June 2013 when most foreign investors fled. If anything, it is a lesson in how tenacity, patience and foresight can pay off when investing in real estate — a lesson that still holds true for the group today. YTL Corp set the benchmark in the last collective sale fever when it purchased Westwood Apartments en bloc for $435 million in November 2007. The purchase price translated into a land rate of $2,525 psf per plot ratio (ppr) and is still a record for a collective sale site. Even though the property market cratered in recent years, YTL went ahead to redevelop the prime freehold site at the corner of Orchard Boulevard and Orchard Spring Lane into the 77-unit luxury project, 3 Orchard by-the-Park. Designed by renowned Italian designer Antonio Citterio (famous for his design of Bvlgari Hotels around the world), the project was completed last year with units designed as “villas in the sky”. The show suites at 3 Orchard-by-the-Park are now being fitted out with Italian brand Armani Casa furniture, which YTL Corp represents in Malaysia. 3 Orchard-by-the-Park is expected to be launched in 2H2018. Mark Yeoh, executive director of YTL Corp and executive director of its subsidiary YTL Hotels & Resorts, says: “My board has taken a long-term view on the project.” That stance has proven to be prescient. In 2014, the government announced plans for the 43km Thomson-East Coast Line, scheduled to be fully operational by 2024. One of the 31 MRT stations on the new line — the Orchard Boulevard MRT station — will be located directly across the road from 3 Orchard-by-the-Park. Construction is currently underway.